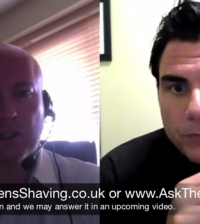 Home > SHAVING ADVICE > Is It The End For Shaving Cream? 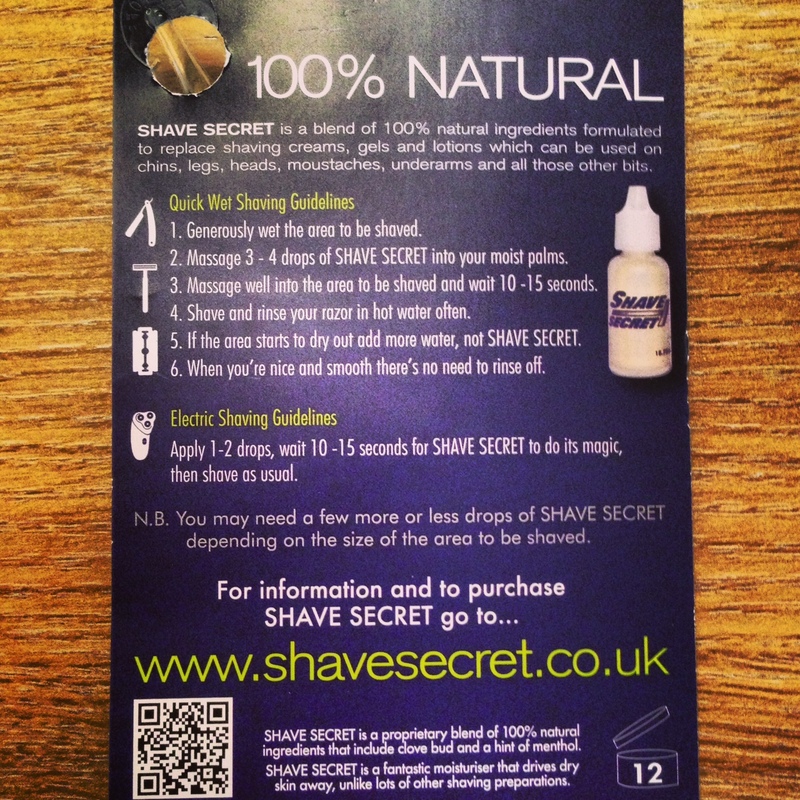 On a recent trip to EuroDisney with the family, I decided to take with me some “Shave Secret” Shaving Oil samples recently sent to me by Jeremy, who looks after the brand in the UK. As you can see from the image below, the samples came in a handy size for travel. To be perfectly honest, I was a little bit skeptical about trying the shaving oil on my very sensitive skin at first, as my memories from using shaving oils in the past were not entirely positive ones. My skepticism was not helped by reading the back of the sample packet to see what the ingredients were…they were a little bit secretive to say the least. Maybe that’s why it is called “Shave Secret”? The one ingredient that it did mention was menthol. Now, when it comes to shaving, this ingredient gives me the fear. 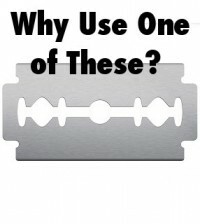 Read 3 Ingredients You Need To Avoid Before, During and After Your Shave For A Comfortable, Pain Free Shave Everyday to understand why I say this. On top of that, the last shaving oil I tried several years ago unfortunately didn’t create a positive impression on me at the time. I am pretty sure it was also a ‘menthol’ based oil too when I tried it. However, what I’ve always really liked about shaving oils is they are made from all natural ingredients. No preservatives or fragrances have been added to them which in theory means they should be excellent for the skin. 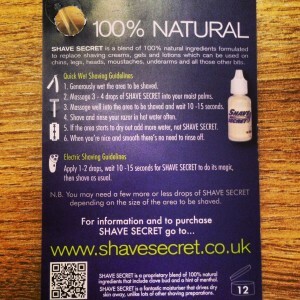 But What Is A Shaving Oil? By mixing a variety of Carrier Oils – usually no more than 2 or 3 – and then adding in a few essential oils for there additional healing benefits, you end up with your final shaving oil product. Click the link below which will take you to Wikipedia, which explains some more benefits of using a shaving oil if you are interested. The first thing you notice, and I maybe stating the obvious here, is the product once applied to the skin is clear. There is no obvious sign that the shaving oil has been applied correctly or if it is now going to protect the skin from the razor. However, after the first pass of my razor…any concerns I had with this shaving oil soon disappeared. 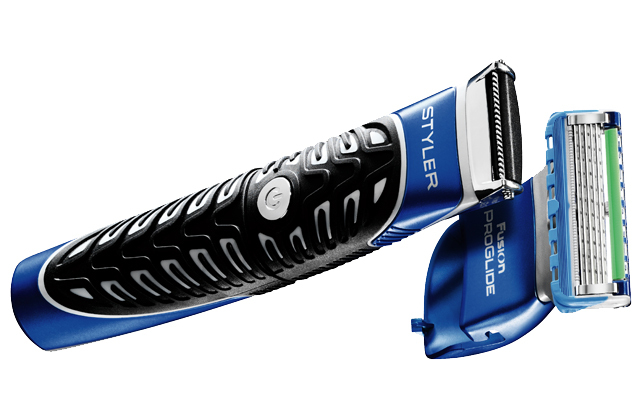 In fact, it took only a few shaving strokes of my razor to realise that I was shaving with something special…something very special indeed. 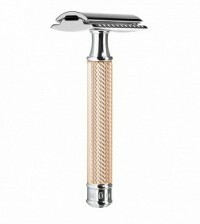 Every shaving stroke I took, from the first to the last was extremely comfortable. The glide of the razor across the face was superb, with no drag at all. In fact, I’m really struggling to come up with a negative of any kind for this Shave Secret Shaving Oil…however if I do have a minor one, then I would say that the blades were not in the best condition after use. They were quite dirty, and did leave a slightly sticky residue. However, I really am being nit picky with this comment, as it was not really that bad compared to the end results of the shave itself. Just to clarify, I was using a Gillette FUSION Blade during this initial shave. And, because of the natural ingredients used within this shaving oil, the oil itself acts as an excellent skin moisturiser…so there’s no need to ‘wipe’ the oil away from the skin afterwards as it offers some excellent benefits. Just a little alcohol free after shave balm was applied to my skin afterwards and I was good to go. My skin felt amazingly soft and smooth. …even suggesting it’s the end for shaving creams or shaving soaps is enough to get me targeted! However, as you will know, I like to speak my mind, and tell it as it is…I am not writing these articles or reviews to make friends with the so called ‘big brands’ unlike many other shaving blogs out there. 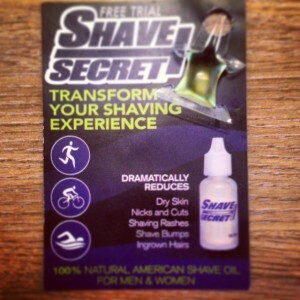 So, what is my honest opinion on Shave Secret Shaving Oil…? Honestly, this product produced a superior shave in terms of overall comfort and post shave results than any shaving cream, gel, foam or soap I’ve ever used before…PERIOD! Yes, this comment may surprise you as much as it’s surprising me as I write it. But it really was that good. I’ve gone from a complete shaving oil skeptic to a firm believer literally overnight. I’ve since used this product for the past few weeks, and my opinion on this product remains the same. Shave Secret will now take pride and place in my stockroom of favourite shaving products and accessories, including the many shaving creams I like to rotate from time to time…but is the clock ticking time on these shaving creams? Now, just before I go, I would love to hear your thoughts on this post. Have I lost the plot, or do you agree with me? 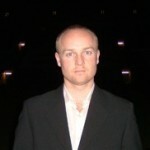 Please post your comment at the very bottom of this page. 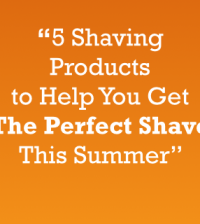 Tell me what your favourite shaving products are, and maybe I will give them a try. I will reply to all of the comments personally I promise. Are you on Facebook or Twitter? I’m starting to spend a little more time on these pages lately, often posting thoughts or images on a daily basis, so if you have not ‘Liked’ the Men’s Shaving Facebook Page yet or our followed us on Twitter, then I would love to see you there soon.